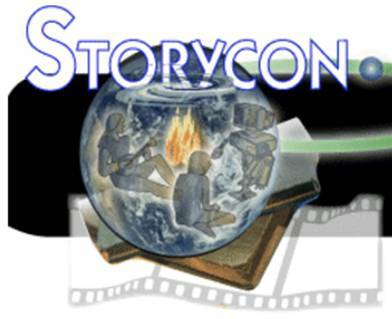 The Storycon Summit meeting on the art, science and application of story was the first time ever that people from all the different worlds of story came together to share ideas on how to understand and tap the power of story. Before the conference began, over 20 Story experts who were presenters spent 15-30 minutes each presenting a brief summary of their ideas on the aspect of story on which they work as published experts—to each other, to set up the conversation that ensued. The wisdom and experience shared here, from this historic summit meeting, is deep and powerful. The world’s leading experts chose to share core nuggets with advanced story peers. This is a program that people at all levels of story experience and skill can enjoy and benefit from. The human brain evolved to tell and process stories. If you want to deliver a message to the head and the heart, the way to do it is to wrap it in a story, whether you are teaching, selling, leading, preaching, politicking, talking to patients or juries, writing a memoir, a blog, the next best selling novel or screenplay, doing journalism, youtubing, podcasting or storytelling. Psychotherapy is all about helping people to learn how to re-write the stories they tell themselves. Story is one of the biggest businesses in the world. But you don’t have to be in any kind of business to benefit from a deeper understanding of how stories work and their power. It’s hard to take a step, make a decision, hold a conversation or engage in education or persuasion without stepping into the realm of story. This course offers you the story basics leading experts in the world of story shared with each other as they began the first conversation in the history of the world exploring how different approaches to story intersect and could synergize. They were touching parts of an elephant. This course opens your eyes to the whole picture on story. There are thousands of workshops and seminars on screenwriting, novel writing, copyrwriting, preaching, and pitching. Experts teach in silos of same ideas. The Storycon meeting was a historic event that had a very different goal—to explore a wholistic, systemic, big-picture approach to all the different ways story exists, manifests and is used, how to create to strengthen, intensify and deepen the power stories. From Homer through the latest experimental fiction, the best storytellers simultaneously articulate and transform the heart of a culture. Their power as change agents begins by disrupting, then reforming mindsets by changing collective values and goals, the role and nature of heroes, even the meaning of life. You don’t have to be Homer to appreciate how great stories work, why they have lasting appeal, and how they change how we think and to what we dedicate our lives. Here is a unique gathering of experts sharing the sum of their career and life knowledge with insights that explain how powerful stories work -- what makes them tick -- whether you are writing, reading, analyzing or living them. This is a comprehensive, how-to Introduction to both the visible and the less visible drivers of effective stories. You define yourself with your stories about yourself, your family, your community, your culture. Others create stories that can affect, even define your life. You share your life with the stories you tell. You are already a storyteller. The question is, how good are you? Can you get better at it—for your life, your work, for the changes you want to make. Think about some how some of these quotations apply to you. The universe is made of stories, not atoms." The best defense is a good story. Words are, of course, the most powerful drug used by mankind." It takes a thousand voices to tell a single story." When we harness and understand the value of storytelling we can build our world with purpose and clarity. The stories we tell create the world we live in, and the more gifted we are at telling our stories with intention, the more we're able to feel confident in our ability to create a world we are comfortable with; regardless of the plot twists fellow storytellers throw our way. Are you ALREADY AN EXPERT at story? Great—you are an expert at one aspect. 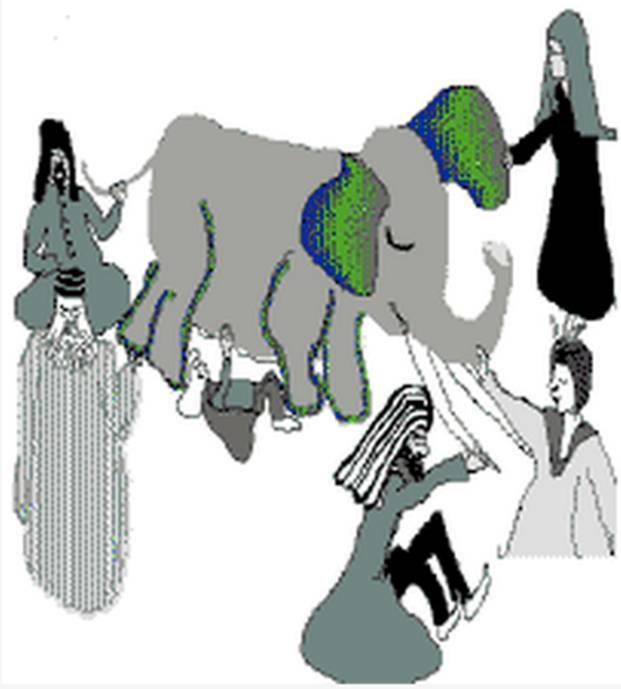 This timeless audio program offers you different views of the elephant, as experts in many different worlds of story share how THEY think about what makes stories work. This gathering of leaders in the wide world of story was highly energizing, inspiring and enlightening—for the speakers too, as you can see from the endorsements as well. This will be a real treat for you, or a great gift. 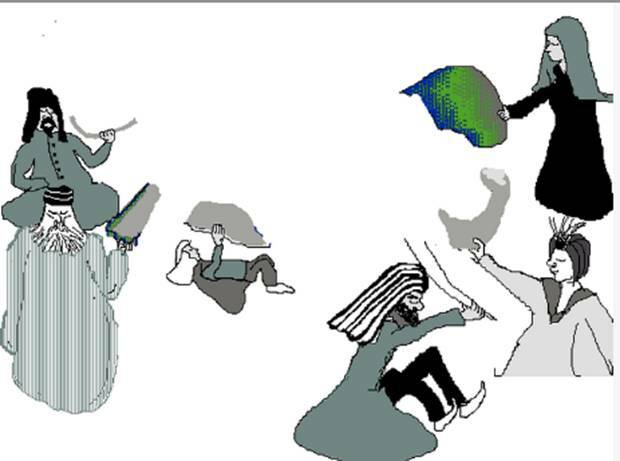 Here’s a thumbnail sketch of the talks and their speakers. More detailed info is below. 16 Stories that can change the world Thom Hartman. This course was originally sold for $149 on CD. Now, as a digital download, we’re offering it an unprecedented low price and giving people who are first to take advantage of our low price the lowest prices. And there’s no shipping. You download it and can have it in minutes. awesome lectures covering a vast swathe of story territory. most of the lectures in the series were 20-30 minutes. There's such a wealth of information, you'll want to listen to this several times. “This set of presentations is a wonderfully comprehensive overview of the role of storytelling in the world today. It would be impossible to find this material anywhere else." "Perhaps the best, most concise introduction to the wide variety of story uses you'll find--ever." Chris Huntley, co-creator and co-author of "Dramatica software. "Excellent. I loved the twenty minute talks..... What a great idea. We got to hear the condensed version of everyone’s material-- a cross section of the best thinkers of our time on the topic of story. A multi-disciplinary dissection of how stories work in our minds, our relationships and our lives." "Want to know what the brightest and most innovative minds on the four corners of Planet Story have to say? This is high-level information presented in an easy-to-understand format. Treat yourself to a wealth of knowledge -- it will make a difference in your work and your life. There’s material here you simply can’t find anywhere else. The percentage of leading lights among the speakers is astonishingly high. These tapes are a real treasure." David Garfinkel is a leading direct-response copywriter, copywriting coach, and author of "The Money-Making Copywriting Course. "As a screenwriter I enjoyed the wide array of philosophical and intellectual viewpoints I was exposed to. I came to this conference for a change from screenwriting "structure" and "format" and that’s what I’m getting. I’m already thinking about aspects and influences on my storytelling for the screen that I’ve never thought of before." "Fantastic Opportunity to be introduced to people and their presentations and passions. The passion amongst the group was alive. Fantastic diversity of ideas, interests, mediums.."
Ben Callaghan, teacher from Australia using story as a tool to empower teens. "So many excellent presenters at one conference-- remarkable! Very exciting, stimulating"
"Courageous!! Very organized, holistic, broad based, and yet integrated and full focused." Have you ever wanted to know how stories work, from the inside? And what gives superior stories their maximum impact. Though stories invoke magic, creating stories is about craft, understanding what’s at stake, and knowing how to create inspiring characters that overcome obstacles and conflicts while reinventing their “story lines.” Like heroes, impactful stories are made, not just born, especially when engaging our conscious and unconscious realms. Whether creating stories or unpacking what informs a great story, the following experts have many insightful tales to tell you, suggesting how great narratives can at times work miracles. Marcie Begleiter author of "From Word to Image, Storyboarding and Filmmaking Process" is a writer and educator who specializes in pre-visualization and has worked extensively in the film, television and interactive industries. She is owner of Filmboards whose client list includes Paramount, Tristar, New Line, and ABC. Ray Bergen Marriage Counselor: Specializes in exploring the archetype of "The Lovers." Author of an Audio series entitled, "When Hero and Goddess Love" which applies the Hero journey and Goddess journey to relationship work. "On the ARCHETYPAL level: every woman struggles with feeling disappointed by her man. Every man carries the burden of knowing that he falls short. This tension underlies every relationship, fueling the Tyrant/Dragon Standoff that cyclically erupts." Steve Denning author, The Springboard: How Storytelling Ignites Action in Knowledge-Era OrganizationsSteve was selected in 2000 as one of the world’s ten Most Admired Knowledge Leaders (Teleos) along with Jack Welch (GE) and John Chambers (CISCO). Former Program Director for Knowledge Management at the World Bank, he now works with organizations on leadership, knowledge management and organizational storytelling. Karen Dietz Folklorist and management consultant using story with firms and executives to embark on new, invigorating and powerful quests to consciously shape the future. Topic: Personal Stories/ Sacred Stories -- Is There A Difference? Thom Hartmann author of 20+ books; Last Hours of Ancient Sunlight, Greatest Secret, Unequal Protection. Thom Hartmann is an award-winning best-selling author, international lecturer, teacher, and psychotherapist. His books have been written about in Time magazine, and he has appeared on the front page of The Wall Street Journal, and on numerous radio and TV shows including "All Things Considered," CNN, and BBC. Topic: Stories that can change the world. Chris Huntley co-creator and co-author of "Dramatica: A New Theory of Story." Mr. Huntley has lectured, taught, and led workshops on story structure development for over ten years. Mr. Huntley co-founded Screenplay Systems in 1982 to develop software for writers and the entertainment industries. Their first product, Scriptor, won a 1994 Technical Achievement Award from the Academy of Motion Picture Arts & Sciences. Mr. Huntley continues to teach story theory and develop award- winning software for writers. topic: A beginning of a history, science and pedagogy of Story Science and Art. Cathy Lynn Pagano psychotherapist, screenwriter, mythic storyteller/consultant and teacher, trained at the C.G. Jung-Institut, Zurich, author, Stories of the Earth. James Phelan Professor and Chair of the Department of English at Ohio State University, Since 1992, Phelan has been the editor of Narrative, the journal of the Society for the Study of Narrative Literature. He is co-editor, with Peter J. Rabinowitz, Understanding Narrative, and since 1993 of the Ohio State University Pressseries on the Theory and Interpretation of Narrative. He has written about style in Worlds from Words, about character and narrative progression in Reading People, Reading Plots. Ashraf Ramzy Founder /CEO of NARRATIVITY Strategy & Story, the Narrative Approach to Business, applying the Power of Story to 6 key functions of succesful enterprise: Leadership, Identity, Strategy, Culture, Brands and Communications. Dr. Linda Seger is one of the world’s foremost script consultants, a screenplay coach, story coach and international speaker. Linda is the author of nine books on script writing, including Creating Unforgettable Characters, Making a Good Script Great, Making a Good Writer Great. Topic: The Seven Realities of True Myths: How story explains & enhances the world around us and within us. Robert Burdette Sweet author of Writing Towards Wisdom: The Writer as Shaman,Professor Emeritus of English from the California State University at San Jose. He has published numerous books, including The Memory of Fire, The Mambo, Dame America, Akbar the Great, and White Sambo. Of his many short stories, some have been listed in volumes of the Best American Short Stories. Daniel Taylor is a professor of English at Bethel College in St. Paul, Minnesota,author of Tell Me a Story, formerly titled The Healing Power of Stories, interview. Topic: Living and Leaving a Spiritual Legacy: The Centrality of Story in a Meaningful Life. Rob Tobin is a screenwriter (2 scripts in preproduction), script doctor, writing coach and author of "How to Write High Structure, High Concept Movies." David Vanadia is a performing multimedia storyteller who also develops Original websites and media titles. Internet and media consulting and corporate consulting. Website as story. It was a very common misunderstanding that Storycon was a storytelling event. It was not. It was a place where people who thought about how stories work, the history and neuroscience of stories, how to make better stories and how to apply stories discussed their ideas and areas of expertise. It was a pretty amazing and diverse assembly of story experts. This was the first time in the history of the world that people expert in many different aspects of story came together. The first meeting, the first day of the meeting, when the speakers shared their basic, core ideas to each other, in an attempt to build a base for deeper conversations, was particularly electric, a kind of Woodstock experience for the world of story. This is a recording of that first day’s presentations. You will receive a code that enables you to download a file which holds all the talks listed above. The code is good for three days and two downloads. Yes, you can split the cost and share it with another person—though only one payment must be made. Finally, the great new price. We’re going to be offering this program for the drastically reduced price of $69, but, to get this new download program off the ground, we’re making a special offer, with one caveat. What’s the caveat? We ask that, if you like the course, you write a review of the course and submit it below here. *The recordings were taken from the live conference, so they are NOT studio recordings. The quality of each audio recording varies. If you are the same person after reading a book, seeing a picture, hearing music, then what you read, saw or heard was not produced by an artist. Myths are the stories we tell ourselves to explain the world around us and within us. We're offering some great discounts on this program: This course was originally sold for $149 on CD.